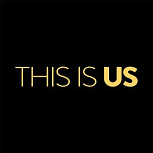 Two years after Empire, broadcast TV produced its second megahit drama of the decade in NBC's Tuesday sensation This Is Us (219). It didn't have the week-to-week growth thrills of Empire's maiden voyage, but almost all of its 2.8 premiere audience stayed loyal throughout the season, and it posted an explosive new high 3.4 to end the season. This Is Us was a nice, shining symbol for NBC, but the comeback had already been in the works for years on other fronts. Sophomore successes Superstore (92) and Chicago Med (101) helped shore up the long-problematic Thursday landscape, while 10/9c staples Chicago Fire (124) and Chicago PD (112) both ticked up to new heights as well. After winning last season in a very close four-way race, NBC rolled to a 12-point win in the original series race in 2016-17. Also moving in a positive direction, though to a much smaller extent, was ABC. New comedies Speechless (127) and American Housewife (117) further solidified the network's strong family comedy framework, and Designated Survivor (102) had some success (including a huge delayed DVR audience) in the ever-tougher 10/9c hour. Still, it was another sharply down year for most of the drama department (with the huge exception of growing Grey's Anatomy (168)), and that kept ABC from making too much progress. CBS swung back to basics in 2016-17, with a big splash back into Monday comedy. It was led by successful Kevin James newbie Kevin Can Wait (131), but the rest of the thinly-stretched lineup couldn't live up to last year's tri-drama Monday. New dramas Bull (116) and MacGyver (88) also worked, with the latter helping boost Hawaii Five-0 (94) and Blue Bloods (94) to big numbers on Friday. However, the erosion of reliable veterans like NCIS (140) and Criminal Minds (114) took a toll. The big loser was Fox, which found itself without so much of what had helped it make a brief comeback last year. Empire (224) was still a megahit and the #1 broadcast drama, but it came way down from where it was in the first two seasons. The slots vacated by American Idol were filled by more modest dramas and Gordon Ramsay series, and a revival of Prison Break (78) did OK but was not on the level of last year's The X-Files splash. Fox was not without its own bright spots, including Wednesday Empire lead-in Lethal Weapon (128) and a nice season for the animated comedies on Sunday. But bad comparisons on most other nights really added up. The embarrassment of cancelling Super Bowl lead-out 24: Legacy wasn't ideal either.